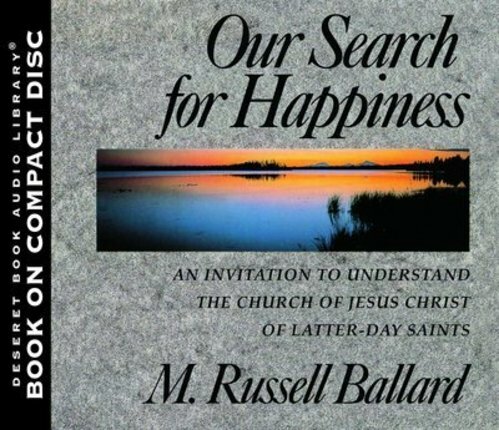 In this, the most recent addition to the approved missionary personal library, Elder M. Russell Ballard explains the Church and LDS beliefs in a clear and inoffensive way. Elder Ballard discusses the Apostasy, the need for the Restoration, the Book of Mormon, the priesthood, the plan of salvation, the Articles of Faith, the Word of Wisdom, temples, missionary work, and benefits of living the gospel. Through personal experiences he reveals how the gospel has benefited him and concludes by bearing his testimony. I was given this book by a very dear friend before I converted, and it remains very special to me, not only as a gift, but for the words contained in it. I enjoyed reading it and still read it today. Helped me understand the basics of the Church. I was given this book as a gift before I converted, and I read it while taking the missionary discussions. 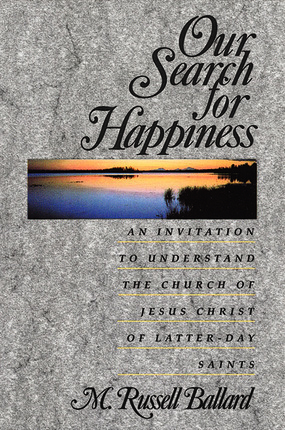 This book is fantastic for people who are not familiar with the doctrine and teachings of the Church and it will help them understand and accept the Restored Gospel. This is a great book that gives a good overview of the church. 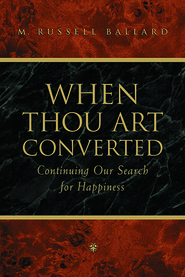 When my wife was investigating the Church, we purchased this book, and found that many of her questions were answered here. This is a wonderful introduction to gospel principles for anyone who is new to the Church and its doctrines. 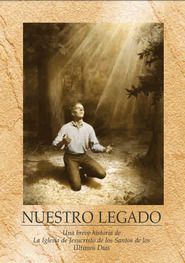 As a new member I read this book and it was a great refresher of everything that the missionaries had taught me. This book is a great intro to the church and would make a great gift to any friends interested in the gospel. This book is a great missionary tool. If you have friends, family, co-workers, etc. that are wanting to know more about the church--this is a great introduction. It's also always nice to have this book to read for the basics to share with people about the church.